These NATIV CBD pods for the PAX Era are excellent. Their proprietary blend of CBD to THC is extracted without any volatile solvents. If you’re looking for a therapeutic and balanced dose of medicine without cognizant effects, this Pod from NATIV delivers. Are you in search of the elusive “entourage effect”? Well, look no further than NATIV CBD Pods. They offer an uplifting experience that helps curb everything from insomnia, anxiety, and migraines to muscle spasms, pms pain, joint pain, and more. To begin NATIV only selects pesticide free flowers grown using sustainable farming practices. The flowers are transformed to oil via a solvent-free technique process that protects medicinal properties and flavor of the cannabis. Every product is lab tested and 100% free of any unhealthy additives. 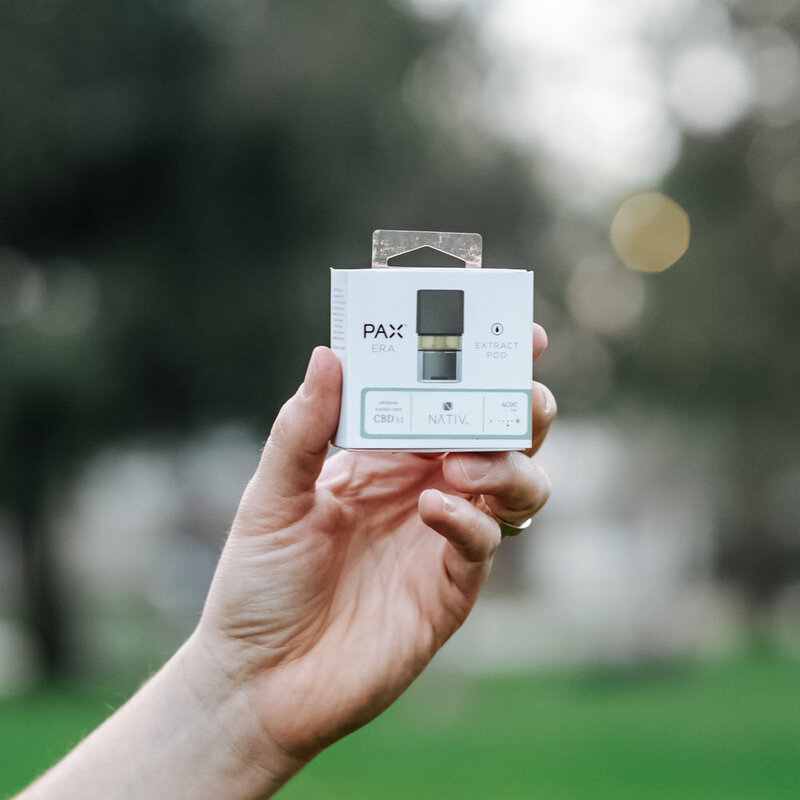 If you’re looking for an easy and effective way to take your medicine, we think you’ll love the NATIV CBD Pod and highly recommend it for new or experienced users.